Inside Google’s Secret Drone Delivery Program (The Atlantic) — passed proof-of-concept in Western Australia, two years into development. Review Ninja — a lightweight code review tool that works with GitHub, providing a more structured way to use pull requests for code review. ReviewNinja dispenses with elaborate voting systems, and supports hassle-free committing and merging for acceptable changes. How Geeks Opened up the UK Government (Guardian) — excellent video introduction to how the UK is transforming its civil service to digital delivery. Most powerful moment for me was scrolling through various depts’ web sites and seeing consistent visual design. Tools for Working Remotely — Braid’s set of tools (Trello, Hackpad, Slingshot, etc.) for remote software teams. Git Push to Deploy on Google App Engine — Enabling this feature will create a remote Git repository for your application’s source code. Pushing your application’s source code to this repository will simultaneously archive the latest the version of the code and deploy it to the App Engine platform. Amazon’s 3D Printer Store — printers and supplies. Deeply underwhelming moment of it arriving on the mainstream. The Power of Data in Aboriginal Hands (PDF) — critique of government statistical data gathering of Aboriginal populations. That ABS [Australian Bureau of Statistics] survey is designed to assist governments, commentators or academics who want to construct policies that shape our lives or encourage a one-sided public discourse about us and our position in the Australian nation. The survey does not provide information that Indigenous people can use to advance our position because the data is aggregated at the national or state level or within the broad ABS categories of very remote, remote, regional or urban Australia. These categories are constructed in the imagination of the Australian nation state. They are not geographic, social or cultural spaces that have relevance to Aboriginal people. […] The Australian nation’s foundation document of 1901 explicitly excluded Indigenous people from being counted in the national census. That provision in the constitution, combined with Section 51, sub section 26, which empowered the Commonwealth to make special laws for ‘the people of any race, other than the Aboriginal race in any State’ was an unambiguous and defining statement about Australian nation building. The Founding Fathers mandated the federated governments of Australia to oversee the disappearance of Aboriginal people in Australia. In 2013, developers will once again boldly contribute code to projects where their code has never gone before. 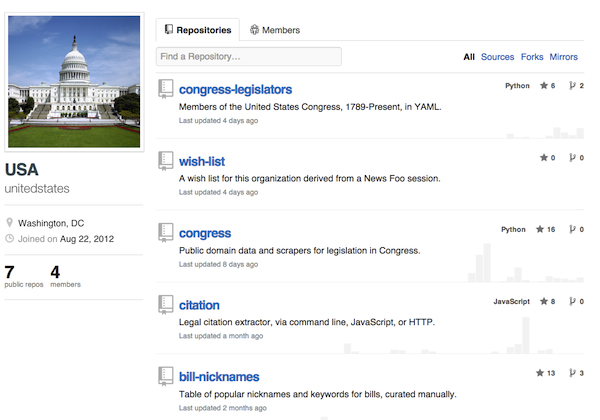 Open government coders collaborate to liberate legislative data from Congress. When Congress launched Congress.gov in beta, they didn’t open the data. This fall, a trio of open government developers took it upon themselves to do what custodians of the U.S. Code and laws in the Library of Congress could have done years ago: published data and scrapers for legislation in Congress from THOMAS.gov in the public domain. The data at github.com/unitedstates is published using an “unlicense” and updated nightly. Credit for releasing this data to the public goes to Sunlight Foundation developer Eric Mill, GovTrack.us founder Josh Tauberer and New York Times developer Derek Willis. Scraping together the best tools, techniques and tactics of the data journalism trade. Great journalism has always been based on adding context, clarity and compelling storytelling to facts. While the tools have improved, the art is the same: explaining the who, what, where, when and why behind the story. 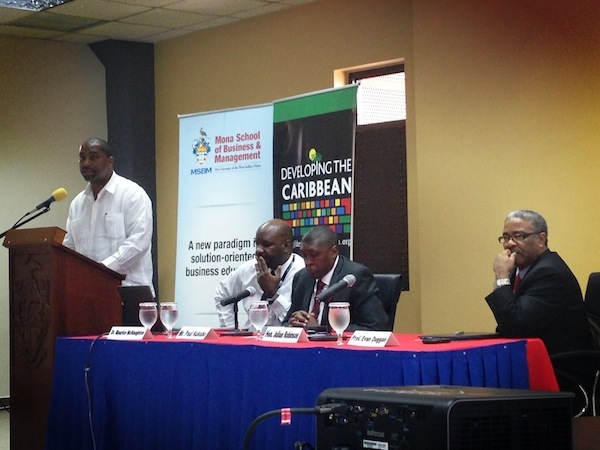 The explosion of data, however, provides new opportunities to think about reporting, analysis and publishing stories. As you may know, there’s already a Data Journalism Handbook to help journalists get started. (I contributed some commentary to it). Over the next month, I’m going to be investigating the best data journalism tools currently in use and the data-driven business models that are working for news startups. We’ll then publish a report that shares those insights and combines them with our profiles of data journalists. Why dig deeper? Getting to the heart of what’s hype and what’s actually new and noteworthy is worth doing. I’d like to know, for instance, whether tutorials specifically designed for journalists can be useful, as Joe Brockmeier suggested at ReadWrite. On a broader scale, how many data journalists are working today? How many will be needed? What are the primary tools they rely upon now? What will they need in 2013? Who are the leaders or primary drivers in the area? What are the most notable projects? What organizations are embracing data journalism, and why? This isn’t a new interest for me, but it’s one I’d like to found in more research. When I was offered an opportunity to give a talk at the second International Open Government Data Conference at the World Bank this July, I chose to talk about open data journalism and invited practitioners on stage to share what they do. If you watch the talk and the ensuing discussion in the video below, you’ll pick up great insight from the work of the Sunlight Foundation, the experience of Homicide Watch and why the World Bank is focused on open data journalism in developing countries. In the wake of a devastating storm, here's how you can volunteer to help those affected. Even though the direct danger from Hurricane Sandy has passed, lower Manhattan and many parts of Connecticut and New Jersey remain a disaster zone, with millions of people still without power, reduced access to food and gas, and widespread damage from flooding. As of yesterday, according to reports from Wall Street Journal, thousands of residents remain in high-rise buildings with no water, power or heat. Public officials have embraced social media during the disaster as never before, sharing information about where to find help. No power and diminished wireless capacity, however, mean that the Internet is not accessible in many homes. In the post below, learn more on what you can do on the ground to help and how you can contribute online.